You can taste the cuisine of the Dolomites just behind our chaet, in a typical restaurant. There is a second restaurant you can easily reach on foot, in 5 minutes which is mentioned in the "Cheese itineraries of the Dolomites". 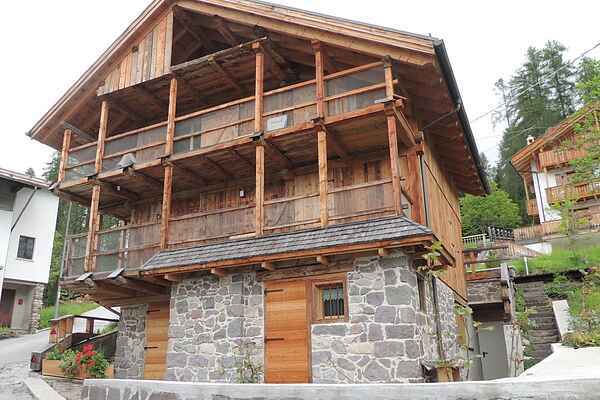 The chalet is located at the feet of Colmean wood, starting point for a lot of trekking paths, by car in a few minutes you can also reach many other places where to depart for easy and panoramic walkings. Our home is furnished with original objects, wooden furniture and also carved by hand, textiles have been chosen by us accurately, in order to give you a unique experience in an ancient Tabià (barn) of the Dolomites completely renewed by an architectural project. We would be glad to suggest you the best walking in the surroundings.